Author Cynthia Swanson discusses her novel's literary influences. I’m often asked why I mention particular books in my novel The Bookseller. Because the protagonist of The Bookseller owns a bookstore, books—not surprisingly—play a key role in the narrative. The Bookseller tells the story of Kitty Miller, a 38-year-old single bookstore owner who begins to dream of an alternative reality in which she goes by her given name, Katharyn, is married and has a family, and her bookstore no longer exists. One such novel is Katherine Anne Porter’s Ship of Fools. I came across this book when researching prominent novels of 1962. 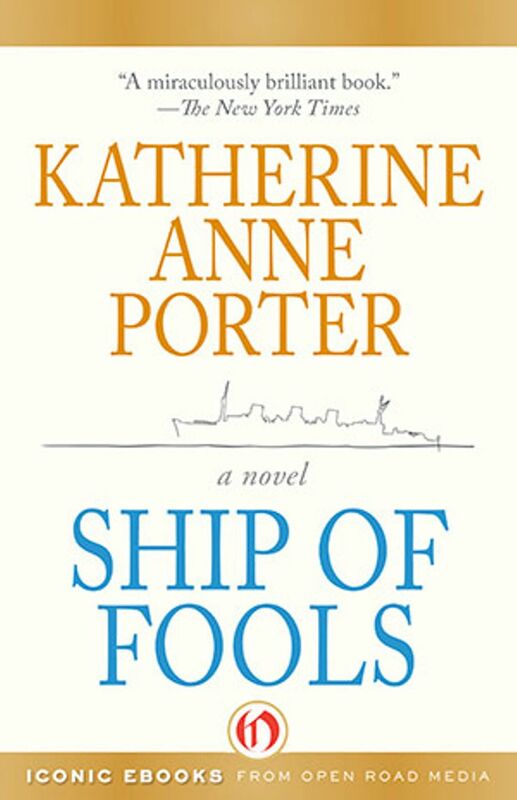 Ship of Fools was released with much fanfare that year, as it was Porter’s first (and ultimately only) novel. Porter was well-known as a short story writer and journalist. Moreover, because The Bookseller is set in Denver, a city where Porter lived for a time, Ship of Fools was particularly popular with Denver readers of the day. I was fortunate that it worked logistically to include Ship of Fools, which I read as part of my research for The Bookseller. At over 500 pages, Porter’s tome does not resemble the quick-read novels so popular today—in fact, were Ship of Fools to be released in today’s short-attention-span world, Porter might have trouble generating a wide audience. There isn’t a lot of plot—simply put, the novel asks readers to accompany the passengers on a long and sometimes difficult sea journey, where they become familiar with one another whether they want to or not. No character in Ship of Fools is intended to become the reader’s best friend. Instead, each is relatable in his or her own way. In the characters we see aspects of ourselves, and this can help us shape our own experiences. Kitty notes this quandary when she relates the passengers’ apprehension at being forced (by their close quarters) to get to know one another, to what Kitty herself experiences every time she enters her dream-life as Katharyn. This quote applies to life as well as books and reading. When we stumble upon something “at this moment”—whether book, circumstance, or individual—we can trust, as Porter did and Kitty/Katharyn learns to do, that it was meant to be. This is the lesson of The Bookseller—a message of which, I believe, Porter would approve. Cynthia Swanson is an author and a designer. Her debut novel The Bookseller (Harper) was published to critical acclaim in March 2015. She has published short fiction in numerous journals and has been a Pushcart Prize nominee. Cynthia lives in Denver, Colorado with her husband and children. You can reach her and learn more at integritymodern.com. Follow Cynthia on Twitter @cynswanauthor and on Facebook.